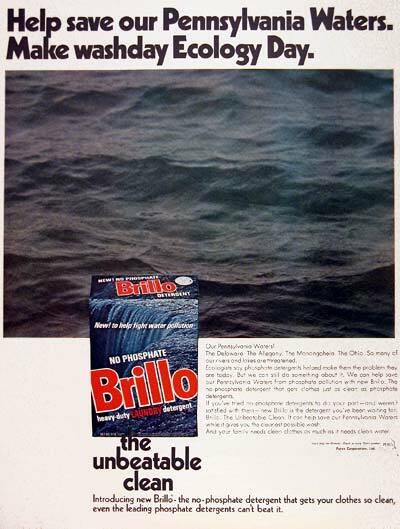 1971 Brillo Laundry Detergent original vintage advertisement. Now made phosphate free to help save polluted waters such as the Delaware, the Allegany, the Monongahela and the Ohio. Help save Pennsylvania waters.